Kim Bum-kyoung visits Gosiwon Fire ... "Best in Victim Support"
Kim Bum-kyum, Minister of Public Administration and Security, visited the fire site of the Koryo Doosan branch in Jongno-gu, Seoul, where many casualties occurred, and asked them to do their best to support the victims. After receiving reports of the casualties, Kim has instructed his team members to quickly identify the casualties and give them details of their accidents and their rescue. 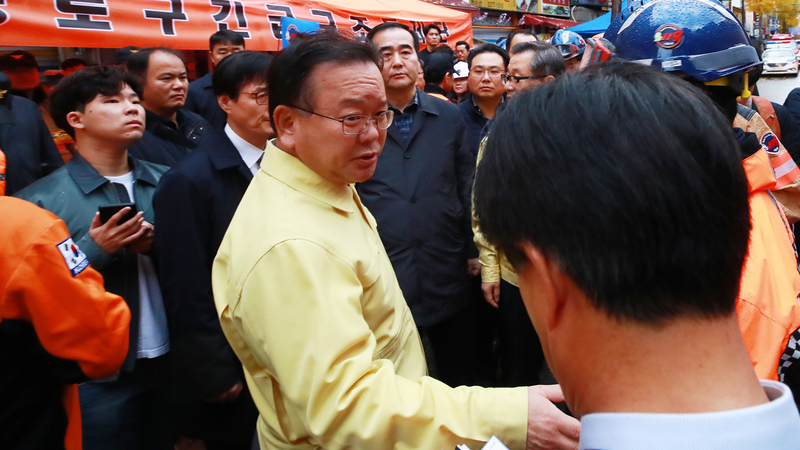 Kim Bum-kyum, Minister of Public Administration and Security, visited the fire site of the Koryo Doosan branch in Jongno-gu, Seoul, where many casualties occurred, and asked them to do their best to support the victims. After receiving reports of the casualties, Kim has instructed his team members to quickly identify the casualties and give them details of their accidents and their rescue. We also asked for full family support. The authorities believe that workers at nearby workplaces were staying at the workplace where the accident occurred.